February 18, 2014. The brickbats cast at the Obama administration for appointing unqualified candidates to important ambassadorial jobs notably did not include any directed at envoys to the South Asian countries. Unlike the representatives Obama has nominated this year to the fleshpots of Western Europe and other comfortable parts of the world, all six American ambassadors assigned to South Asia are career Foreign Service officers, five with previous experience in their host countries or elsewhere in the region. Campaign bundlers and other would-be politically-appointed ambassadors haven’t been breaking down the doors to reach this challenging and often dangerous part of the world. With some noteworthy exceptions, mostly but not exclusively in India, those among them who have been chosen have not brought assets to their embassies that Foreign Service officers could not have provided. The South Asia experience makes a good case for the assignment of FSOs as ambassadors. India: This career appointee monopoly is unusual in South Asia. For years assignments to the demanding job of ambassador to India and to other chief of mission positions in the region have been given to both political appointees and career diplomats. Most of the non-professional ambassadors sent to India had had impressive careers before reaching New Delhi. Though there were some weak reeds among them – as there were among the career appointees who served there — for the most part they carried out their jobs well. Pakistan. Before its breakup following the 1971 Bangladesh War, a number of non-career ambassadors were assigned to Pakistan. But since that time, all the ambassadors sent to Islamabad have been career officers. This probably reflects Pakistan’s diminished attractiveness to would-be political candidates for the job. It has become a tough assignment and in recent years a dangerous one. Political appointees posted to Pakistan earlier worked in more pleasant circumstances — though riding the roller-coaster of U.S. – Pakistan relations often posed substantive challenges. These earlier appointees would not have enjoyed life as much at the present-day mission, where the embassy staff, separated from their families, huddle behind compound walls, travel in heavily guarded convoys, and must deal with an unending procession of high-level official visitors from Washington. Afghanistan. The United States first established a diplomatic mission in Kabul during World War II. Earlier, the chief of the U.S. mission in Tehran had been dually accredited to Afghanistan. Of the resident ambassadors who served between then and the decision to limit relations with the Communist government that held power during the Soviet occupation of the 1980s, all but one were career officers. The exception was Robert Neumann, a prominent academic who was appointed by President Johnson and carried on under Nixon. (Neumann’s son Ronald, a career Foreign Service officer, served in the same position during the George W. Bush administration.) The last of this early series of ambassadors to Afghanistan was Adolph Dubs. Dubs, a Soviet expert, was kidnapped by an extremist group in Kabul and tragically killed during a botched rescue operation. Sri Lanka and Nepal. 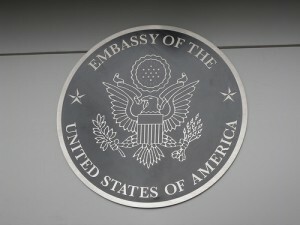 For many years, Washington sent a mix of career and non-career ambassadors to head the embassies in Colombo and Kathmandu. More recently only career officers have been assigned there. It seems likely that as with Pakistan the deterioration of the quality of life for diplomats in both countries reduced the enthusiasm of would-be political appointees to seek these posts. 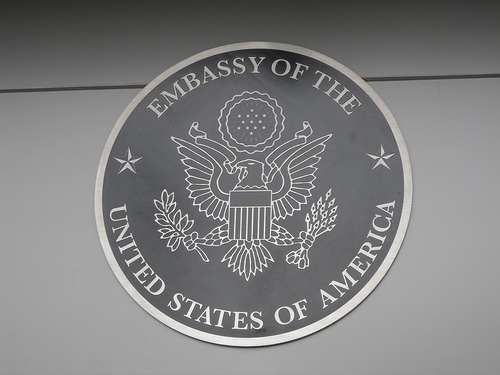 Both embassies, along with the embassy in Bangladesh, are often awarded to senior regional specialists who have served many tours of duty in South Asia and in Washington positions dealing with the region.